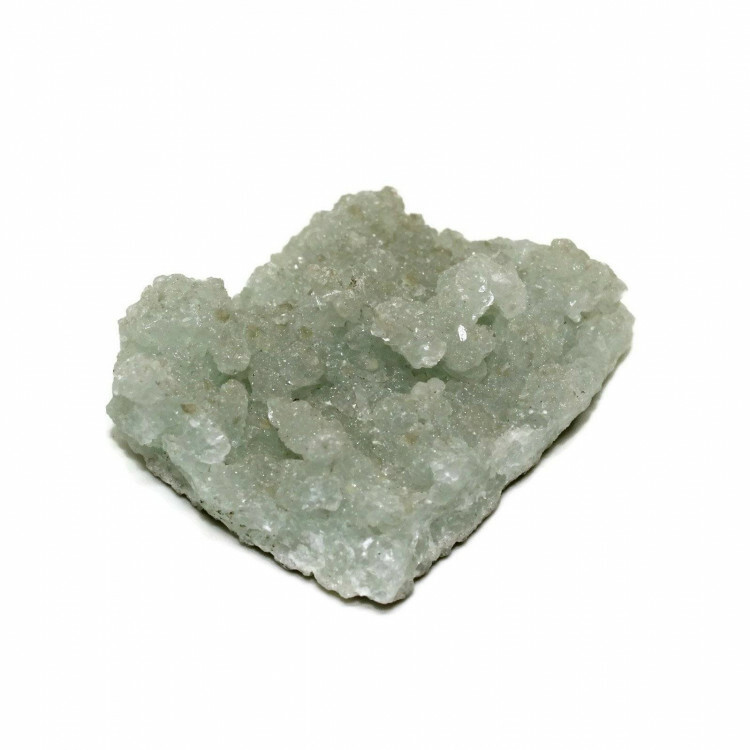 Lovely little green Prehnite specimens, available in two different sizes. Gorgeous green Prehnite specimens, intended primarily for mineral collectors. Some of these mineral specimens will show a botryoidal nature, but not all! 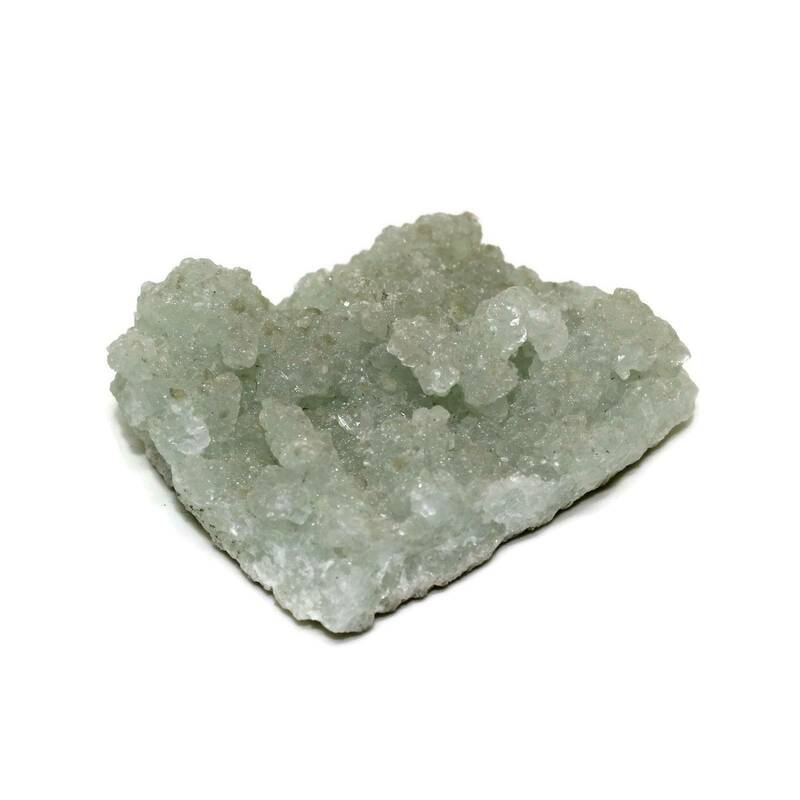 We do sell two sizes of these minerals, measuring 50-75MM and 75-100MM long approximately. As they are natural pieces, we cannot guarantee sizes, colours, etc – every single one is different. We cannot guarantee localities on these specimens, but most come from India, specifically the Pune region. 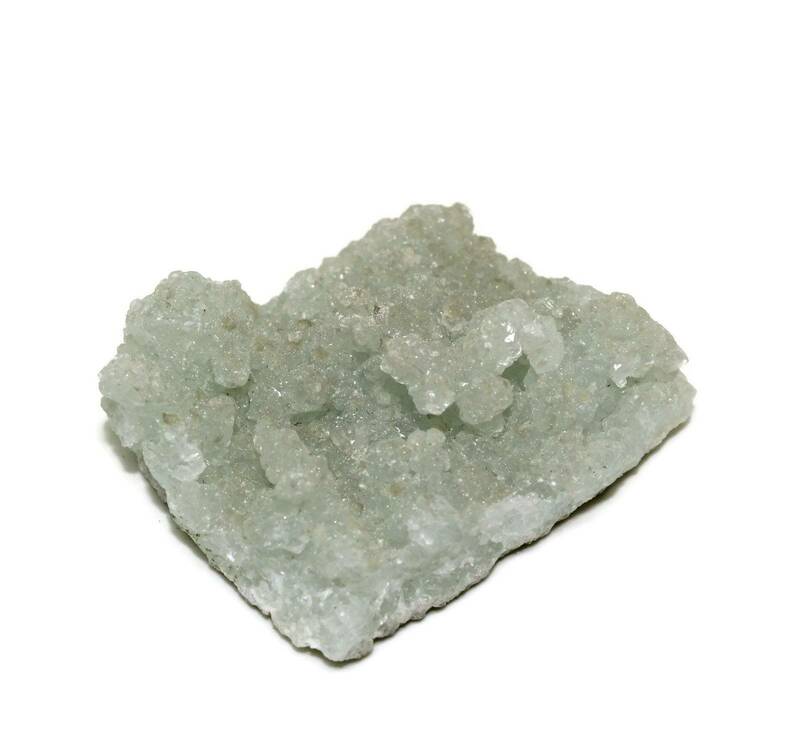 For more information about Prehnite, and a full list of all of our related products, please see our main ‘Prehnite’ section.